Johnny E. submitted this photo and caption. 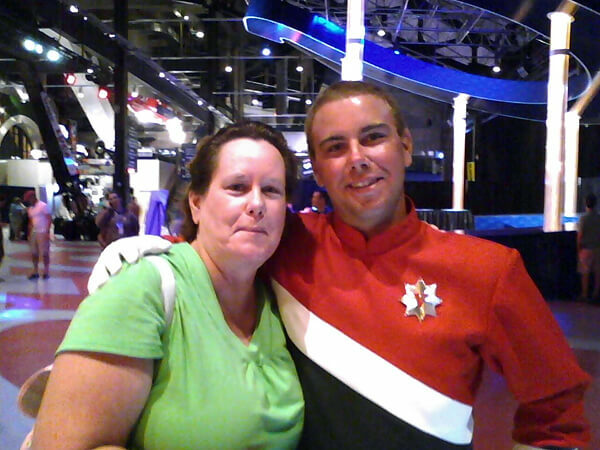 This is a picture of my mother and me at the DCI Semifinals in Indianapolis this past summer. I marched drum corps for five years. One year in the Vanguard Cadets and the other four year in the Santa Clara Vanguard A-corps. Each of my five years of drum corps my mom went to every DCI Championship in support of my musical endeavors. This picture was taken right before I went on the field for the 2010 Age-out Ceremony.